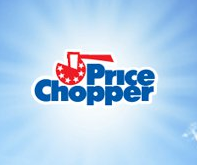 Price Chopper Weekly Coupon Matchups 1/4-1/10! NEW Baby Club Printable Coupon HERE! 4 coupon inserts this week - 2 SS & 2 RP! Current Snap offers: $0.50/1 Fruity Pebbles, $0.50 Cocoa Pebbles, $0.50/1 Wonderful Pistachios, $0.50/3 Hunt's Tomatoes + More! Chiappetti Lamb Loin Chips - $5.99 lb. NEW: $3/2 Perdue Simply Smart Lightly Breaded Chicken Strips or Chunks - use zip code 07738. Peaches or Nectarines - $2.99 lb. Pinata Apples - $1.99 lb. Glen Rock Cooked Ham - $4.99 lb. PC Oven Roasted Turkey Breast - $6.99 lb. D&W Gourmet Chicken Breast and Muenster Cheese - $7.99 lb. LOL Low Salt American Cheese- $5.99 lb. Krakus Reduced Sodium Ham - $7.99 lb. Russer Low Salt Bologna - $3.99 lb. D&W Gourmet Lite Ham or Turkey - $7.99 lb. D&W Provolone Cheese - $6.99 lb. Happy New Year Erin! Looking forward to saving a lot of money in 2015 thanks to you! Is the $2/2 coupon for Angel Soft an e-coupon or an I-Save? Thanks Paula, and Happy New Year to you! The coupon for the New England coffee is for the single serve only. Not the bagged :( So sad because that would have been a great price for that coffee!